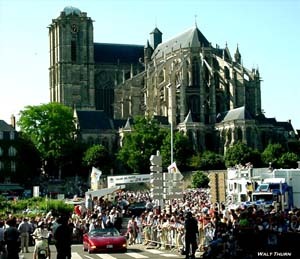 The Le Mans Cathedral is the starting point of the annual drivers parade in downtown Le Mans. Lying by the river Sarthe, the thriving provincial capital of Le Mans has a population of 150,000. The city is best known for its 24-hour sports car race, which has stormed around the city each summer since 1923. Le Mans rich history goes back to Roman times, when thick walls were built around the city to protect its territory from surrounding areas. Henry Plantagenet was born in Le Mans. 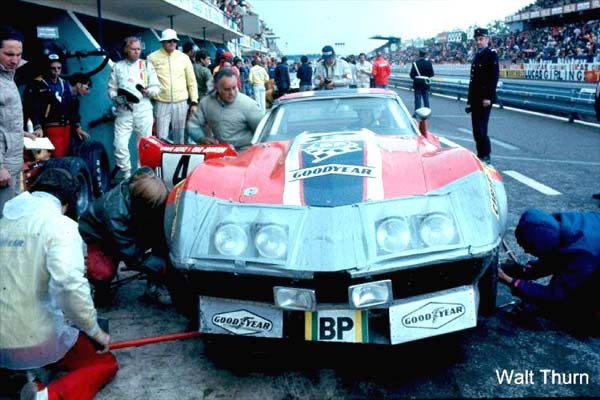 Henry went on to become King of England and he remains one of Le Mans most famous citizens. The old walled city remains and is open to tourists. The most impressive structure in the old city is the Le Mans Cathedral. It uses the same architecture as the famous Notre Dome cathedral in Paris. 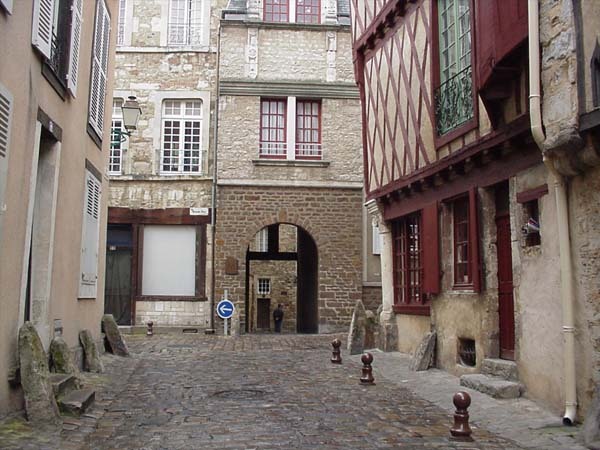 Today, Le Mans is a bustling city with narrow streets and buildings that are hundreds of years old. Each summer the city transforms as the Les Vingt Quatre Heures du Mans or the 24 Hours of Le Mans swell the cities population to over 500,000. The annual Parade des Pilotes puts all of the Le Mans race drivers in vintage cars so the fans can see their favorite drivers. 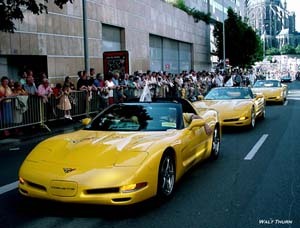 Last year the C5 Registry led the parade that draws over 100,000 spectators in downtown Le Mans. The Registry will lead the parade again this year. The race itself is run by the Automobile Club de l’Quest (ACO). The ACO is very strict about who races at Le Mans. Only the top sports cars of the world are invited to participate. 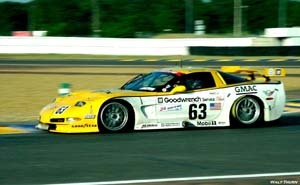 Forty-eight entries have been accepted for the 2001 race and Corvettes will be racing in two classes, GTS and GT. Corvette Racing has entered two C5R’s in GTS and Callaway Cars has one Corvette C12-R competing in the smaller GT category. 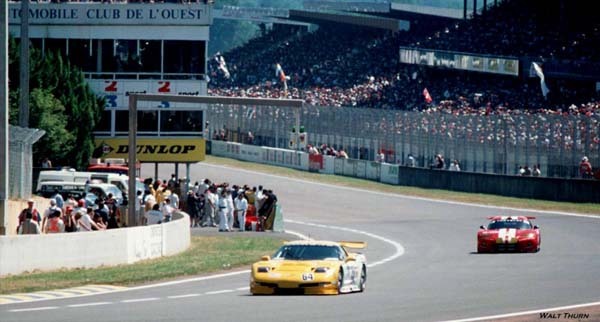 This is the second time that factory Corvettes have raced at Le Mans. 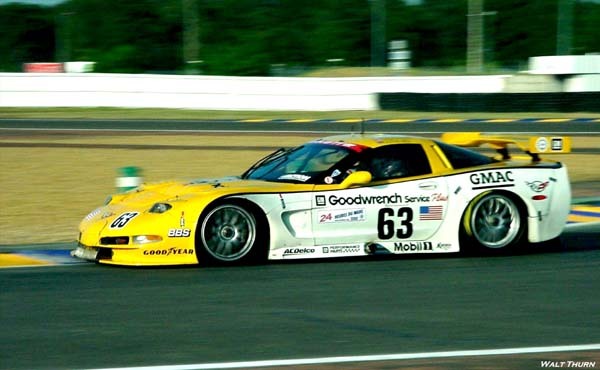 Last year, the C5R’s finished third/fourth in GTS and 10th and 11th overall. In the past, privately entered Corvettes have not fared well at this grueling race, they have only been classified as finishers three times; 8th in 1960, 15th in 1972 and 9th in 1995. Lets hope the factory Corvettes can fare better this year with a GTS victory. During the 2000 race, thousands of fans watched the 24 hour battle between the C5R’s and the Vipers. The #4 Dave Heinz/Bob Johnson L-88 Corvette Fellows, Bell & Kneifel placed this C5R fourth in finished fifteenth overall at Le Mans in 1972. GTS and eleventh overall at the 2000 race. Le Mans practice and qualifying sessions are limited, because a portion of the racecourse is a public highway. 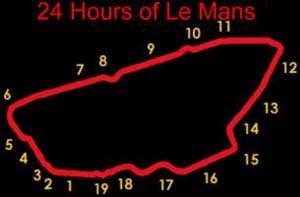 Each year, the race organizers close highway N138 (the Mulsanne straight) and open the track for practice, qualifying and the race. Each lap is over eight miles! Typical lap times for the GTS cars, is a little under four minutes. Technical inspection for all of the entries is scheduled for Tuesday, June 12. Practice and qualifying for the race will take place on Wednesday and Thursday June 13 & 14th. 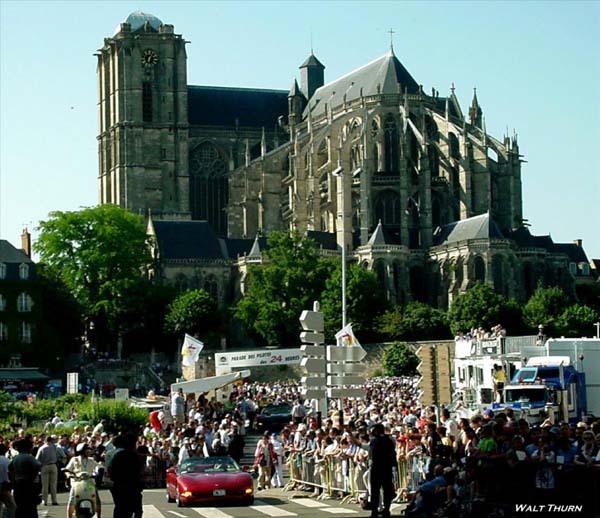 The Parade des Pilotes will start in downtown Le Mans at 4 pm Friday June 15. Le Mans is filled with very quaint side streets The most popular spectator viewing areas can be found and shops. between corners 2 and 14. The pit straight is locatedby number 16. The famous Dunlop bridge is number 18 on the course map. When the green flag falls at 4pm, June 16th, the 24-hour grid will begin. Will Corvette make history? 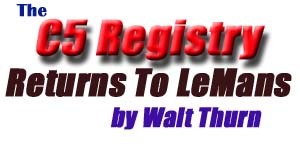 Check the Registry site after the race to learn the inside story behind how Corvettes and the hearty C5 Registry members fared during this years historic Le Mans race.